Police-Collected Fines, Fees And Forfeitures: How Does Your City Rank? This article by Chuck DeVore originally appeared in Forbes September 10, 2018. With California Governor Jerry Brown’s signature on Senate Bill 10, the cash bail system, with 15 centuries of history, was ended in the Golden State. Bail’s demise will cause unneeded waves in California’s increasingly turbulent criminal justice system. When a person is accused of a crime, they are brought before a judge, informed of the charges against them, and may have bail set. The purpose of bail is to increase the chances that the accused will return to court for trial if released from jail. Cash bail has become unpopular in many quarters for three main reasons: the cash bail industry is big business, which, given its role in the criminal justice system, rubs many the wrong way; as bail amounts have risen, America’s pretrial jail population has surged from 83,000 in 1970 to 462,000 in 2013; and, increasingly, the cash bail system is seen as tilting against the poor, with people held in pre-trial detention more likely to plea out to a lesser charge, even if innocent, just to get out of jail and get back to their families and work. Judges are elected in California as they are in most states. When an elected judge grants bail and releases an accused person and that person ends up committing a crime, especially a violent crime, the judge risks reelection. As a result, many judges err on the side of caution. In California’s case, that resulted in bail amounts averaging $50,000—about five times the national average. California’s solution: ban bail and in its place erect a risk assessment system that looks at the likelihood of the offender committing crimes or not showing up for trial once released from jail. While it includes an arguably overly broad net for judges to deny bail and preventively detain felony defendants, California’s new law instructs almost all those charged with misdemeanors be released without a risk assessment. “Low risk” felony defendants would be released with little oversight. The disposition of defendants labeled “medium risk” would be set by local standards. While, with some exceptions, “high risk” defendants would be preventatively detained. As with most new laws, the passage of SB-10 will create unintended consequences. Some stem from the flawed distinction between felonies and misdemeanants given that they are nonviolent felony offenses and violent misdemeanant offenses, as well as varying prior offense histories and risk levels. In California’s case, prosecutors will likely react by bulking up charges for high-risk misdemeanants to felony levels to trigger risk assessments. This will temporarily increase the odds that the accused will remain in custody but it will also make it more difficult to win a conviction in court. This puts public safety at risk. Concerns over an increasingly unfair bail system have also mounted in Texas where the use of bail “menus” have resulted in what critics refer to as “assembly line justice.” At a cost of almost $900 million a year, some three-quarters Texas jail space is being used for those accused, but not yet convicted, of a crime. One problem with simple bail schedules is that they don’t account for risk to the public. This failure was glaringly illuminated when a man twice arrested for assaulting a public servant in 2015 was released on $15,500 bail in July 2017 after ramming a sheriff’s deputy’s car during a chase. While awaiting trial just four months later, the accused killed Texas state trooper Damon Allen during a traffic stop. Texas Governor Greg Abbott has called for reforms to Texas’ bail system to address this shortcoming, calling for the inclusion of risk assessment information to inform judges’ pretrial release decisions. Gov. Abbott’s proposal is consistent with bipartisan legislation proposed in 2017 by Senate Criminal Justice Chairman John Whitmire (D-Houston) and Representative Andrew Murr (R-Kerrville), a former county judge. The legislation passed the Texas Senate before stalling in the House. Similar to California’s new law, the Texas approach would employ risk assessment to inform pretrial release decisions. Unlike California’s SB-10, Texas’ proposed reforms would not usurp judicial power and would simply supply the defendant’s risk information to aid the judge. Most importantly, this approach does not prevent courts from applying financial conditions to release, whether cash bail or collateral, if it is determined that they will increase the chance that the defendant will return to court. Further, from an elected judge’s point of view, properly applying risk assessments can give them the confidence they need to set lower bail amounts or dispense altogether with bail, reducing the growing pretrial population burden. Risk assessments themselves are not without controversy. Some of them amount to black boxes, with proprietary software and algorithms that some critics claim are largely based on race and other demographic factors. In contrast, Texas is now validating a tool known as the Pretrial Risk Assessment Information System for Texas. It uses nine objective variables to determine risk, including: pending charges at time of arrest; age; prior convictions; and prior failures to appear. Conservatives and liberals alike are critical of America’s bail system. Too many low-risk people accused of crimes languish in jail, at risk of losing their jobs and hurting their families. Conversely, setting bail is no assurance that an accused won’t commit a violent crime upon release. Tested, race-blind risk assessment tools can inform judicial discretion to address both sides of this criminal justice challenge. Bail should be returned to its original mission – a form of release, not a method of detention, which should only come after due process and in cases involving the most dangerous defendants. Financial conditions of release can include not just commercial bail, but also posting collateral or funds directly with the county that are returned to the defendant assuming they make their appearances. The results in California will largely depend on implementation, including whether the judiciary and local jurisdictions are successful in supervising defendants and avoiding overuse of pretrial detention in borderline cases. However, in throwing out the bail out with the bathwater without assurances that the new system will produce better results, California has taken an unnecessary risk. Chuck worked in the aerospace industry for 13 years as an executive. 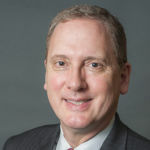 In the former role he analyzed technology developments and corporate capabilities while in the latter role he was in charge of investor and media relations, marketing, and Securities and Exchange Commission reporting. At the time of his election to the Assembly in 2004, he was a corporate vice president.